Article source: Plant Research Institute Published: 2019-02-03. Translated from the original. 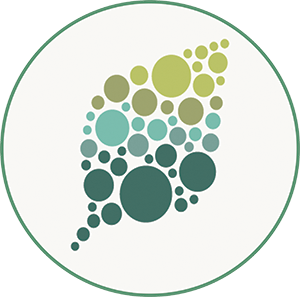 Leaf senescence is subject to severe regulation processes and is the final stage of leaf development. When leaves senescence, chlorophyll, nucleic acids, lipids, proteins, and other high-molecular substances are broken down into nutrients and redistributed into vigorously growing organs or storage organs. As the leaves age, a large number of leaf senescence-related genes are induced. This study found that the induction of expression of many leaf senescence-related genes is positively correlated with the increase of trimethylation (H3K4me3) level of histone third subunit lysine 4, but its molecular regulation mechanism is still unclear. A study by the Jin Jingbo Research Group of the Institute of Botany, Chinese Academy of Sciences and the Cao Xiaofeng Research Group of the Institute of Genetics and Developmental Biology, Chinese Academy of Sciences, revealed that the Arabidopsis thaliana protein JMJ16, through its histone H3 lysine 4 (H3K4) demethylase activity, inhibits the epigenetic molecular mechanism of plant leaf senescence. H3K4me3 levels are coordinated by histone methyltransferase and histone demethylase. The researchers found that a mutant of the JmjC domain containing protein JMJ16 has a premature senescence phenotype. Further studies revealed that JMJ16 has H3K4 histone demethylase activity and negatively regulates leaf senescence through its enzymatic activity; in mature leaves (before leaf senescence), JMJ16 reduces the H3K4me3 levels of two leaf senescence positive regulators WRKY53 and SAG201, inhibiting the early expression of these genes. 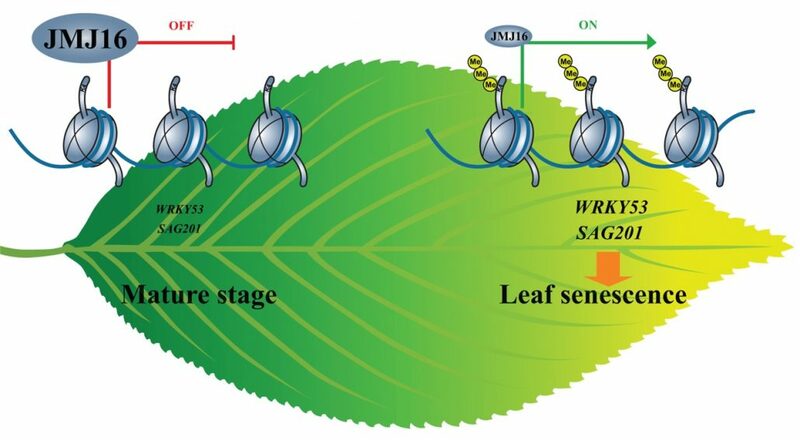 In senescencing leaves, JMJ16 protein levels decrease sharply, resulting in increased H3K4me3 levels and transcription of these genes, thus initiating leaf senescence programs. The study was published online on February 1st in the international academic journal Plant Cell . Liu Jing, from the research group of Liu Jing and Cao Xiaofeng, and Zhang Bingbin, researcher of the Institute of Zoology of the Chinese Academy of Sciences, are the co-first authors of the paper. Jin Jingbo and Cao Xiaofeng are the co-authors of the paper. The study was supported by the National Natural Sciences Gene and the Chinese Academy of Sciences project.